The Aga Khan Award for Architecture is given every three years to projects that set new standards of excellence in architecture, planning practices, historic preservation and landscape architecture. Through its efforts, the Award seeks to identify and encourage building concepts that successfully address the needs and aspirations of societies across the world, in which Muslims have a significant presence. Read about the eligibility criteria for the 2019 Award. The selection process emphasises architecture that not only provides for people's physical, social and economic needs, but that also stimulates and responds to their cultural expectations. Particular attention is given to building schemes that use local resources and appropriate technology in innovative ways, and to projects likely to inspire similar efforts elsewhere. 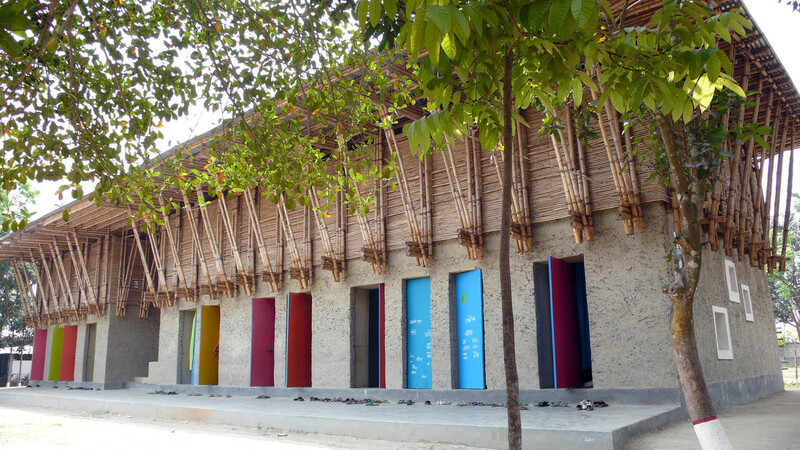 2007 Cycle - School in Rudrapur (Rudrapur, Bangladesh). The Award is governed by a steering committee chaired by His Highness the Aga Khan. A new committee is constituted each cycle to establish the eligibility criteria for project submissions, provide thematic direction in response to emerging priorities and issues, and to develop plans for the future of the Award. The steering committee is responsible for the selection and appointment of the master jury for each Award cycle, and for the Award's programme of international seminars, lectures, exhibitions and publications. The current prize fund totals US$ 1,000,000 and is presented to projects selected by an independent master jury. The Award has completed 13 cycles of activity since 1977, and documentation has been compiled on over 8,000 building projects throughout the world. To date, the master juries have selected 110 projects to receive the Aga Khan Award for Architecture. 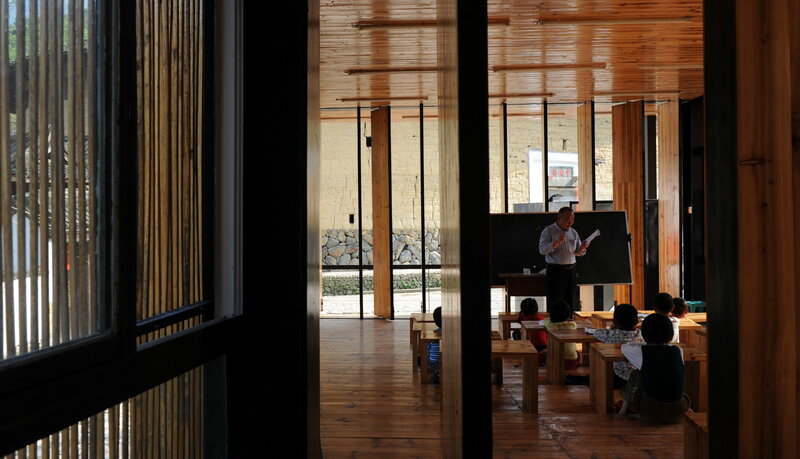 2010 Cycle - The "Bridge School" (Xiashi, Fujian Province, China). The Aga Khan Award for Architecture is part of the Aga Khan Trust for Culture, which has a wide range of activities aimed at the preservation and promotion of the material and spiritual heritage of Muslim societies. As the cultural agency of the Aga Khan Development Network, the Trust leverages cultural heritage as a means of supporting and catalysing development. Its programmes include the Aga Khan Historic Cities Programme which works to revitalise historic cities in the Muslim world, both culturally and socio-economically. Over the last decade, it has been engaged in the rehabilitation of historic areas in Egypt, Afghanistan, Syria, India, Pakistan, Mali, Tajikistan, Tanzania and Bosnia-Herzegovina. The Aga Khan Music Initiative supports the efforts of traditional musicians and communities to sustain, transmit and further develop musical traditions. The Museums Programme coordinates the development of a number of museum and exhibition projects, including the Aga Khan Museum in Toronto. The Trust also supports ArchNet.org, a major online resource on architecture in Muslim societies, and collaborates with the Aga Khan Program for Islamic Architecture at Harvard University and the Massachusetts Institute of Technology. The Aga Khan Development Network is a group of private development agencies working to empower communities and individuals, often in disadvantaged circumstances, to improve living conditions and opportunities, especially in Central and South Asia, the Middle East and sub-Saharan Africa. AKDN agencies work for the common good of all citizens, regardless of their gender, origin or religion. Its underlying impulse is the ethic of compassion for the vulnerable in society. Full information on the Aga Khan Development Network is available on the website www.akdn.org.